The first basket to be launched, corresponding to the World Reserve Currency (which we call GLX), will enable its holders to tactically switch to the most stable instrument, proven historically to be even more stable than the Swiss Franc. This system allows Globcoin to create bespoke baskets for different markets. Though this is not the first product of this kind in the market, it's got a solid team. And with Drake and Mougayar on the advisory team it's got significant stamp of approval. Strong team, Whitepaper link on ICO bench needs to be fixed. Whitepaper can be found by going to website or can use this link https://globcoin.io/assets/whitepaper-GCP-v2.0.pdf, The use of funds section is curiously vague, descriptions such as marketing, legal, partnerships do not justify why you are requesting $70 million dollars. 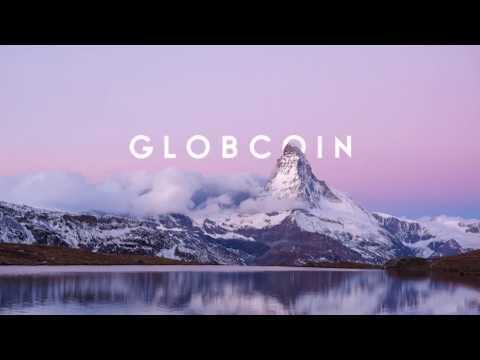 I don't want to nick pick with the name but Globocoin has a much better sound to it than Globcoin which sounds like something that would get stuck underneath your shoe. That said, I am looking and rooting for a good stable coin, as the current offerings all have their issues. Globcoin is a better project, that it looks. Unfortunately, there are several flaws in Globcoin ICO presentation, such as missing White Paper and very moderate wordings throughout their marketing materials (which is appealing to me as a Financial Pro, yet it is arguably not the best strategy for ICO Cap maximization nowdays). 1. A lot of business development for the product has already been done. It s closer to the market than it looks at first sight. 2. Vision is very delivery-oriented, very practical. Although it has a huge potential in a long run. Potential market cap is really promising. I've done extensive research on this project, sent questions to the team and received comprehensive feedback. This is one project that I am highly confident in. StableCoins will bring back stability to the crypto ecosystem and this project is a huge enabler. The fiat/gold basket that they are tokenizing already exists, with a Globcoin card that allows low cost, easy forex conversion. This blockchain project is a natural and innovative extension to an already stable business. Team is good. I like the fact that project is not credit hungry , raising significant amount of ether. Already had private sale done that is good. POC is ready. GCP quoted on various exchanges. Globcoin Crypto Platform launch: regulatory framework, banks arrangements & auditors announced, IT back-end completed. GLX token smart contract launched. GLX quoted on exchanges (subject to regulations). GLX available on the e-wallets of the Globcoin card. P2P transfers in Globcoin, the most stable crypto-currency in the world.